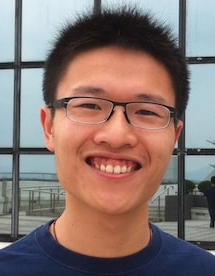 Dingzeyu Li has been awarded an Adobe Research Fellowship, which recognizes outstanding graduate students doing exceptional research in areas of computer science important to Adobe. A fourth-year PhD student advised by Changxi Zheng, Li was selected for his research in a relatively new area of computer graphics: simulating sound based on the physics of actions and motions occurring within an animation. Where sound for computer-generated animations has traditionally been created separately and then later combined and synchronized with the animation, Li is working to develop algorithms and tools that automatically generate sounds from the animation itself, thereby bridging the gap between simulation and fabrication. Extending the concept into virtual reality environments, he is developing a real-time sound engine that responds to user interactions with realistic and synchronized 3D audio. The goal is to create more realistic virtual environments where the visible and audible components are natural extensions of one another, where changes or edits to one propagate automatically and naturally to the other. Provided with a virtual scene, the sound engine will compute the spatial sounds realistically and interactively as a user interacts with the environment. For this same work, which pushed the boundaries of 3D printing, Li was named a recipient of the Shapeways Fall 2016 EDU Grant Contest. Besides computer graphics, the Adobe fellowships are being awarded to students in seven other fields: computer vision, human computer interaction, machine learning, visualization, audio, natural language processing, and programming languages. Fellows are selected based on their research (creative, impactful, important, and realistic in scope); their technical skills (ability to build complex computer programs); as well as personal skills (problem-solving ability, communication, leadership, organizational skills, ability to work in teams). The Fellowship is for one year and includes a $10,000 award, an internship this summer at Adobe, and mentorship from an Adobe Research scientist for one year. Included also are a free year-long subscription and full access to software in Adobe’s Creative Cloud. Li entered the PhD program at Columbia’s Computer Science Department in 2013 after graduating in the top 1% of his class at Hong Kong University of Science and Technology (HKUST), where he received a Bachelors of Engineering in Computer Engineering.